The Olympics are, unfortunately, no stranger to acts of terrorism. A tremendous number of tourists are flocking to London for the 2012 Summer Olympics, with travel insurance policies galore, but as much as they may feel covered, it has drawn attention to the question of whether or not they are protected against terrorism. The crowds of spectators, coaches, and athletes present a possible target to individuals and groups who seek to wreak havoc and bring danger to the many people who have traveled to the British capital to watch the various events. This fact has caused many people to begin asking questions regarding travel insurance coverage. Know These Details Before You Go! 1. Pre-certification is a must. Emergency medical evacuations, hospitalizations and surgeries must be pre-certified with the insurance company to avoid any penalties and reduction in reimbursed claims. 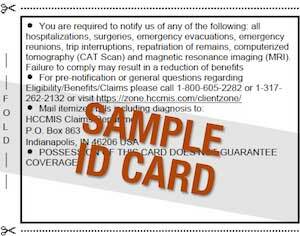 The number to call for pre-certifications is located on the back of your ID card. Don’t miss the Olympics’ opening ceremonies scheduled for 9pm in London on July 27, 2012! Are you headed to the Olympics? We want to hear about it! Share your stories, suggestions and recommendations with us below. And, as always, if you need a fast, reliable quote on travel insurance, please visit this site or call an experienced Client Advisor at (800) 647-4589.